Learn more about legal forms BizFilings offers your business online. Includes info on BizFilings, free trials, pricing, and FAQs. BizFilings, by Wolters Kluwer, is a provider of online legal forms, as well as other online legal services to assist business with incorporation, forming LLCs, running businesses, and more. 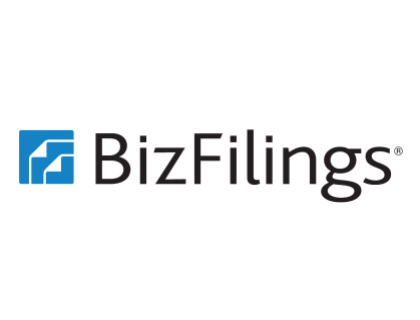 BizFilings's pricing starts at $99.00 plus state fees. The rest of their pricing is available on request. Pros: A large portion of BizFilings's forms and documents are available for free. Cons: Lack of reviews to get a clear impression of BizFiling's offerings. Bottomline: A well-established company that can save your business plenty of time and money. Is there a BizFilings free trial? There is no mention of a free trial on BizFilings's website, but they have a wide range of free forms you can download at bizfilings.com/toolkit/tools/tools-forms. Where can I find the BizFilings login? Visit www.bizfilings.com and log into your account at the top right of the page. What are some BizFilings alternatives? Helped my girlfriend setup a PLLC for a new practice she was starting at and Bizfilings.com really cleared it up, cheaper than legal zoom and I had access to a direct line and email of the sales rep who had an answer for every question I had. Definitely worth it as PLLC's require more paperwork (approval from medical board, etc.). I use BizFilings for my registered agent. They're extremely helpful and easy to work with... I recommend it. I personally have used http://www.bizfilings.com/ to register all my companies. It's extremely easy, they basically walk you through it all, help you to get the EIN number with the IRS so you can open a business bank account, and give you reminders about filing deadlines.